Having an organised home is obviously great, but it also might be stopping you decluttering as well you might like to. Today I want to explore the reasons why, and I’d love to hear your thoughts too! I’ve long been a fan of organising – exploring stores that specialise in storage solutions used to be one of my favourite things to do! 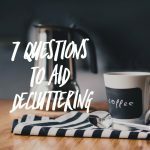 It’s only been in the last little while as I’ve thought more about decluttering and simplifying that I’ve become aware that the two don’t necessarily align. Whilst popping everything in containers was making my house more tidy, I eventually realised what I was doing was organising my clutter. Sure, everything had a home, but I wasn’t actually asking myself whether I needed all the things I had because I was able to put them away all nice and tidy. I’m not suggesting that we don’t need storage solutions though! 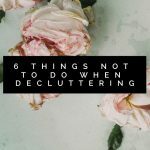 More that when you find yourself thinking it’s time to re-organise a part of your home, first declutter it before heading out to buy more storage. You might find you don’t actually need anything! When we organise our homes we get a sense of accomplishment and calm, but I don’t know about your house – at mine it never lasts. The way we actually live often doesn’t match with how we have ‘organised’ things, and before we know it things are a mess again! I’m thinking in particular of the second drawer in my kitchen right now! 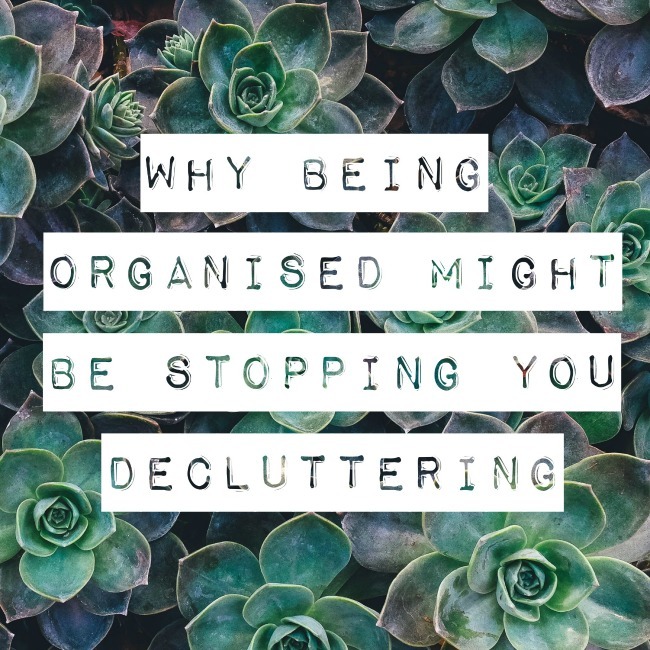 The more we can actually declutter the easier it will then become to firstly organise things, and then keep them organised. Otherwise we all just keep re-organising the same things over and over again. Eventually you might even be able to de-clutter some of your storage solutions as you won’t need them anymore! As I mentioned before, I do love organising things. Finding appropriate solutions for all my bits & bobs is often far more enjoyable than having to decide whether to keep something. In the long run though, having less stuff is far more beneficial in terms of your home, but also money, time and mental space. Whilst I’m very much still in the early days of my simplifying journey I can see the longer term benefits already. 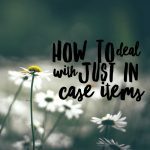 I hope this discussion was helpful and you can now ensure your organising isn’t stopping you decluttering!